Heroic Georgia police task force, in an effort to keep the citizens of Cartersville safe from a plant, descended onto the house of a man who’d dare grow vegetables in his own yard. Dwayne Perry was awaken Wednesday night to a helicopter hovering over his house and deputies and a K-9 unit in his front yard. The chopper belonged to the heroic task force created by the Georgia governor’s office which is setup to kidnap and cage those who’d dare try to do with their own bodies as they wish. 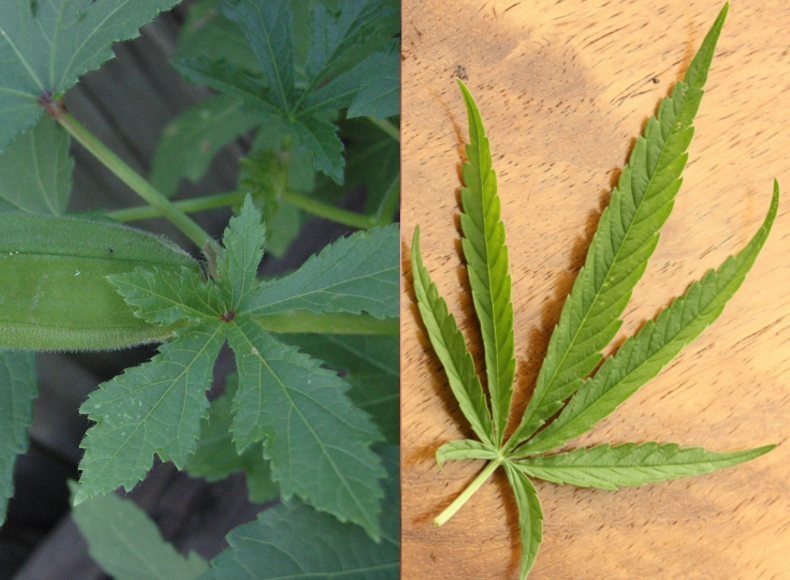 The overzealous and highly incompetent task force mistook an okra plant, which has five leaves for the cannabis plant which has seven. “We’ve not been able to identify it as of yet. But it did have quite a number of characteristics that were similar to a cannabis plant,” said Georgia State Patrol Capt. Kermit Stokes. Whether this was a cannabis plant or not, the very idea of sending in heavily armed militarized police to kidnap and cage a person for cultivating any plant, is criminal. “The more I thought about it, what could have happened? Anything could have happened,” Perry said. Perry is right, we’ve seen horrid examples of trigger and grenade happy SWAT teams raid innocent people and leave a trail of maimed and dead adults and children behind; all in the name of this immoral war to control people’s body and mind. Amazingly enough, the authorities actually apologized, however Perry doesn’t think that goes far enough. He is still receiving calls from neighbors asking why his house was raided and believes the damage to his reputation has already happened. Contributed by Mike Sawyer of The Free Thought Project.